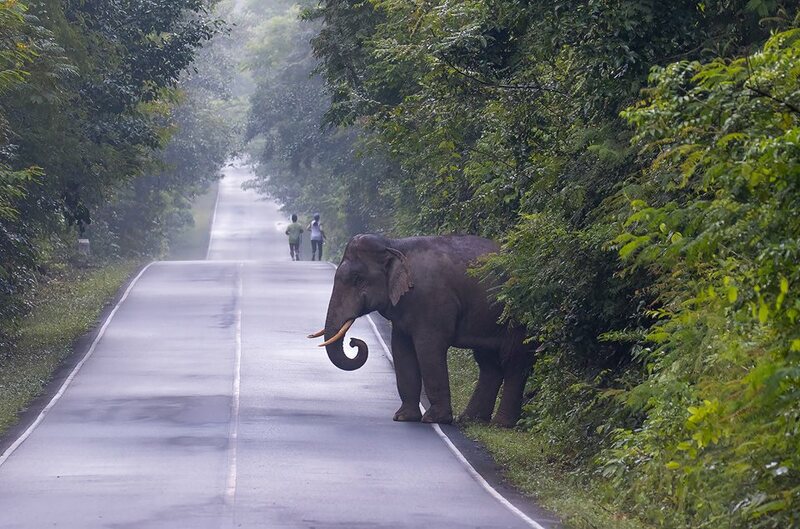 A pair of runners jogging through Khao Yai National Park last week spotted a wild elephant snacking near the roadside and approached it to take a selfie. However, the elephant wasn’t too pleased to have his meal disturbed by the duo so he began to chase them and they ended up having to run for their lives. The story was photographed and shared online by Kamron Petprayoon, a park-goer who was photographing the elephants from a respectful distance, reported The Nation. Kamron wrote that he yelled “Watch out!” to the joggers, who began sprinting for their lives while Kamron went on photographing the incident. The runners were pretty fast but the incident wasn’t over quickly.